My students are no doubt weary of me saying these three words every day as they work on their science-based video game project. But I find it helps to keep them focused on the three elements of our project. ENGAGE the player in a game that fun to play, hitting that “sweet spot” of not too hard, and not too easy, but just challenging enough (ie, the Goldilocks Principle). EDUCATE the player about the science that should be baked into the game itself. Our focus is on Buoyancy and the science behind it is the underpinning of the games. ENTERTAIN the player with an interesting story-frame — the narrative that the game is wrapped up in. I tell them to consider their audience as a player who is reading their story by playing their video game. 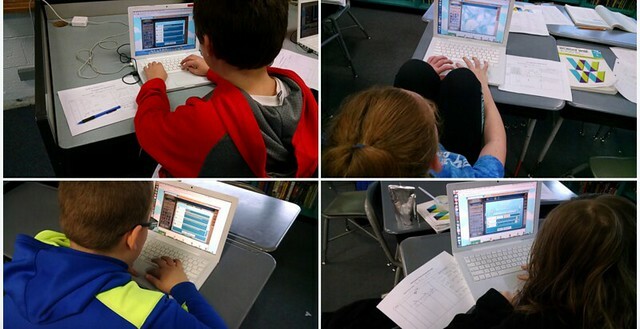 Yes, it is a high concept, but it builds off our work last month with Interactive Fiction. 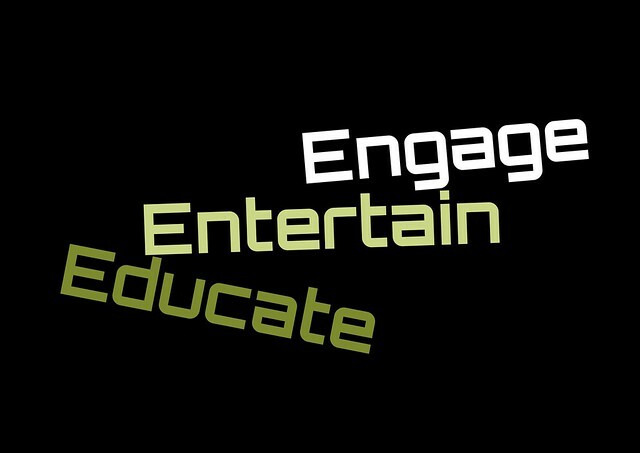 Every day, every class period, I am saying “Remember: Engage, educate, entertain.” And it does occur to me that this could be a mantra for any classroom, although some might quibble with the “entertain” element there as being as important as the “educate” one. 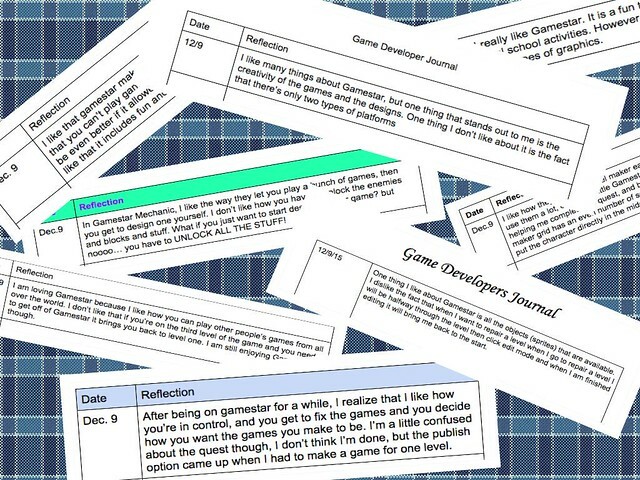 As part of our science-based video game design project now underway, my students have to keep a Game Designer Journal for reflective writing on their process of designing, building and publishing their video game projects. The collage above gathers some of the posts from the first day, as they were asked to reflect on what they like and don’t like (or find challenging) about using Gamestar Mechanic. As always, I am right there with them, modeling what I am hoping they might do with their writing. 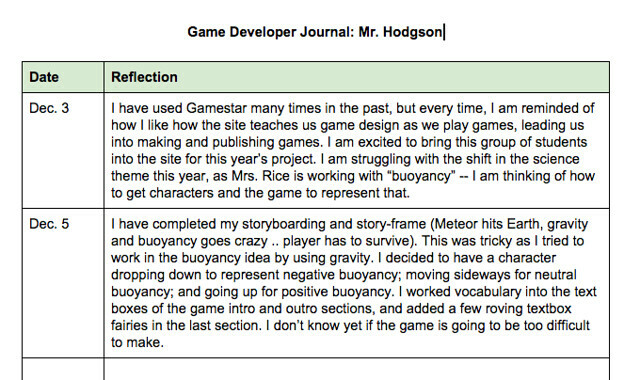 We are using Google Docs, so that this reflective game journal becomes another piece of their writing portfolio this year. I’ve been working on a mentor game to share with my students as they begin work on their own science-based video game design project. We’re using the theme of “buoyancy” this year. I am still working to improve the second level, which is a bit difficult to play and is a stretch to represent the science concept. 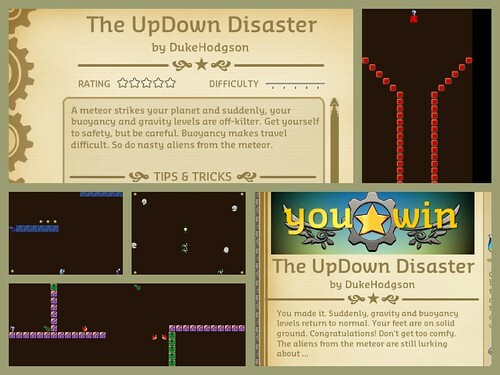 I admit: I have had a bit of a struggle this year meshing my video game project with our science curriculum. 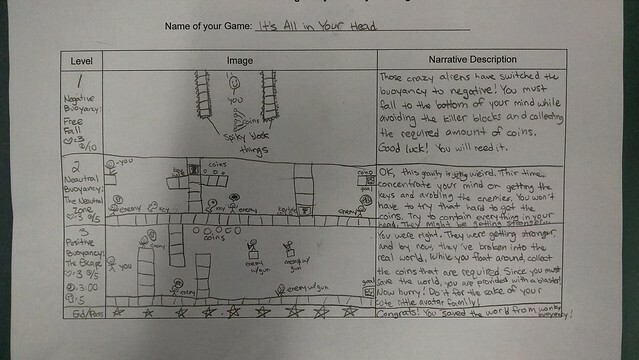 My science colleague is fully moving into the Next Generation Science Standards and that re-alignment on her end (which I support, of course) has made it difficult for me to coordinate an overall topic and science connection for our video game design unit now underway. In the past, she has often been either at Layers of the Earth, Plate Tectonics or Cells at this time of the school year. Those topics provided more logical metaphorical connections to game design. She’s at Buoyancy now. Hmmm. A bit trickier. 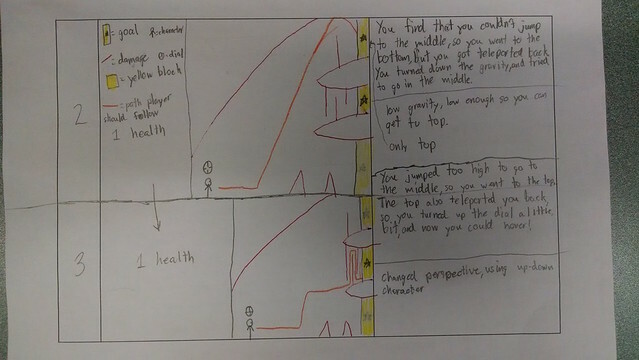 So, after much consulting with her and agreeing that what I am doing with ELA class should still connect and support what she is doing in Science class, I decided to move ahead and see what will happen when we use the concept of “buoyancy” as a theme for a video game design project. I don’t expect this to be easy, necessarily. I do expect to be surprised by what students come up with. I’m working hard to find ways to frame the concept within the confines of the tools available inside Gamestar Mechanic. I think it will come down to gravity. 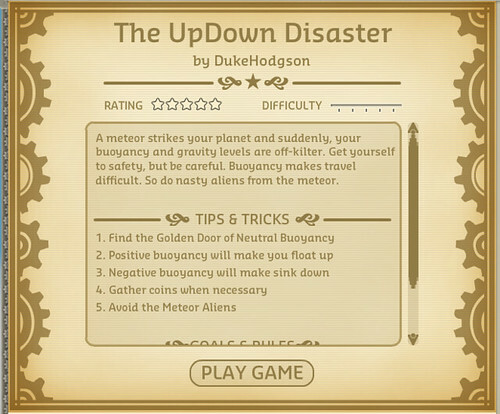 You can tinker with gravity when making games — setting it high or low — and I am going to help students use gravity as the metaphor for buoyancy, and see where that goes. I am working on a mentor video game right now to share with my students, to talk through my own design choices. I’ll share that game out tomorrow, and invite you to play it. You should have seen the excitement on my sixth graders’ faces when I pulled out my large stack of Magic School Bus books yesterday during a lesson around integrating science themes into narrative stories. They will be doing a version of same task soon, as they launch into a science-based video game design project that will take us right up to holiday break, and what better model and mentor text than the Magic School Bus? I had a series of guiding questions they had to answer in writing as they read their books — on earthquakes, the solar systems, electricity and many more topics — and there was silence as they read, punctuated every now and then by a chuckle, or a “I remember this one.” There’s such power in picture books. Our follow-up discussions about science themes and conflict/resolution were rich and productive, too. Ms. Frizzle did not let me down. And for those students who finished early, I had a second stack of Max Axiom graphic novels, which also have a scientific theme as scientist Max Axiom explains more complicated science than Ms. Frizzle. 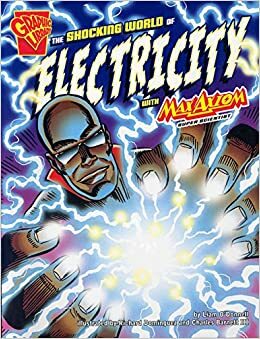 I like the Max Axiom graphic novels, but they are more straightforward non-fiction text (with some magical elements involved … Max can shrink, go through time, etc … he is sort of his own magic school bus …). 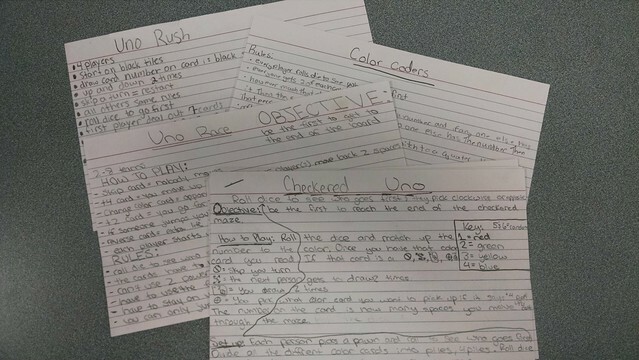 My students are hacking the card game, UNO, as a way for me to talk about game design and game mechanics and creative thinking, as well as to weave in expository writing, speaking and listening skills, and scientific engineering principles (shhh .. don’t tell them that part … they just think they are playing games). 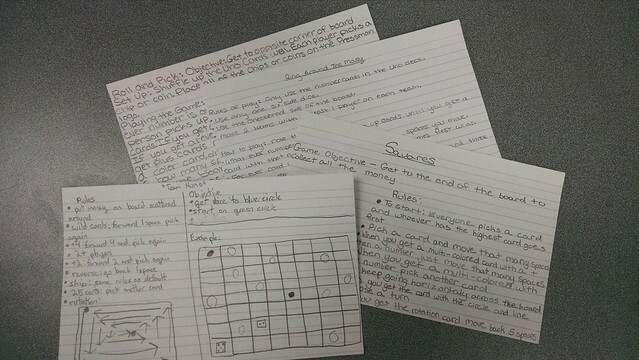 Yesterday, on our second 20 minute design challenge, they had to revisit the rules of their hacked games they worked on earlier this week and as a group, they were tasked with collectively writing out an instruction “manual” in clear, concise language so that, next week, another group of students can play their games. Lots of discussions and revising and clarifying and making visible what was inferred took place, as they tried to play the game through a visitor’s eyes. I’m not sure all of the instructions are as clear as they could be, but we will have “home station hosts” at each game area to help others understand how to play the games. 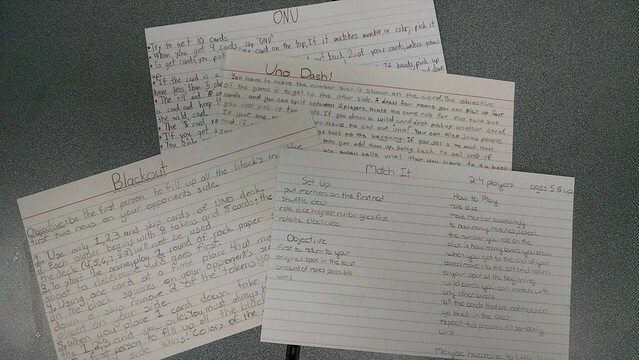 Their task: Redesign the game of UNO into something new (or, hack the game of UNO, as I pitched it) by collectively agreeing in small groups to new rules of the new game and then writing out a draft set of expository instructions. Oh, and prototype the game, if time. The timer is ticking! Have fun! Later, they will formalize the rules of their hacked UNO game and use an instruction manual from Monopoly as a “mentor text” to put it into a common format. 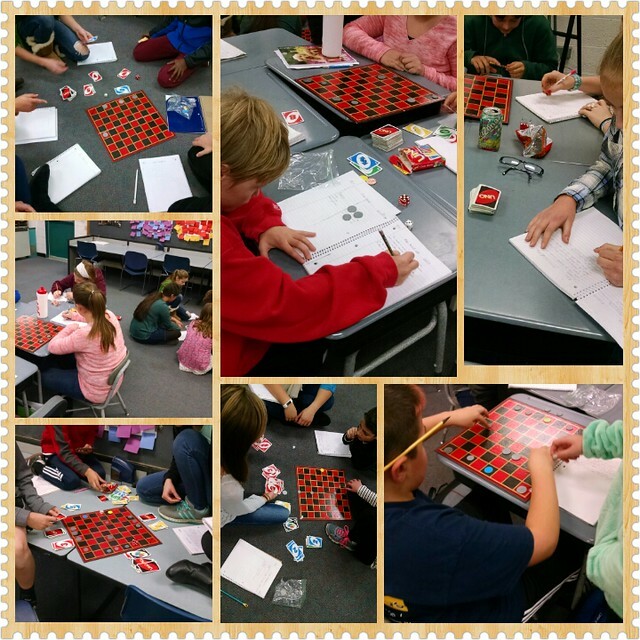 Then they will “teach” their game to other students in other groups. 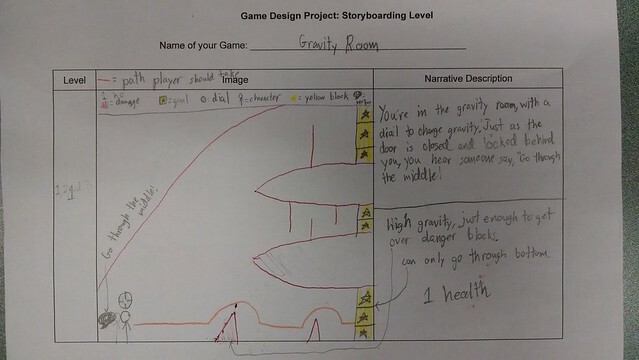 This activity is all part of the introduction to our unit on Game Design, which we have just started in our ELA class, and which will move into designing a science-based video game project. We have a long way to go, but this is always a good start …. Dang. This is fun. 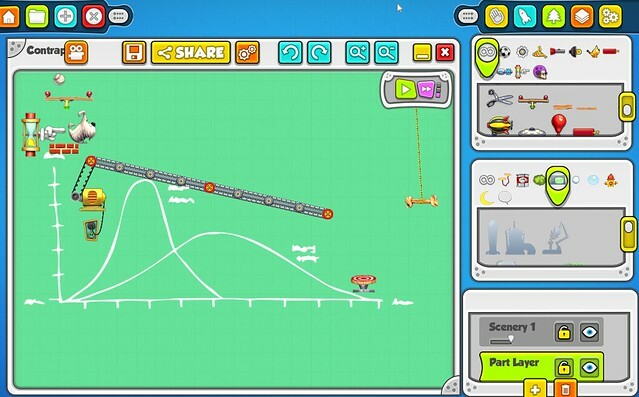 I learned about Contraption Maker from a friend, Melvina, in the Making Learning Connected MOOC when I was sharing out a Rube Goldberg contraption the other day as part of systems thinking (the train of ideas just keeps on rolling), and decided to give Contraption Maker a try. First of all, it solves my own puzzle around teaching Rube Goldberg contraptions: how to move from the visual literacy component of systems thinking and design to having students construct a contraption without spending weeks on a project? And how to move even more science, and Next Generation Standards, into our writing class in an engaging way? Second of all, Contraption Maker folks reached out immediately to an email I sent them via the educator section of their website. Seriously, Deborah, their helpful educational outreach person, was responding not long after I sent a query with helpful advice on how to get started. And they gave me a free license. Listen: I’m not that special. They apparently are giving free licenses to teachers … and licenses for all classroom computers for students! Say that again? Free for schools? Yes. I guess they make money when kids get hooked and want it at home, which is where a family would have to purchase a license. I’m fine with that model. Third, I was pleasantly surprised that you can record a video of your contraption in real time and export it to YouTube for sharing out (see above). It was a great motivator for me as I was tinkering. There is also multiplayer mode. Now, the Contraption Maker program is a software download, so keep that mind, but there is a teacher dashboard for keeping track of student progress and work, and plenty of video tutorials, and it has play modes and design modes (my focus) as well ways to go even deeper into the code design (I think … still going over it all). Overall, thumbs up for Contraption Maker. I found it to be a perfect way to play with systems thinking in the CLMOOC this week, too, and can’t wait to show it to students. Go ahead. Give it a try.